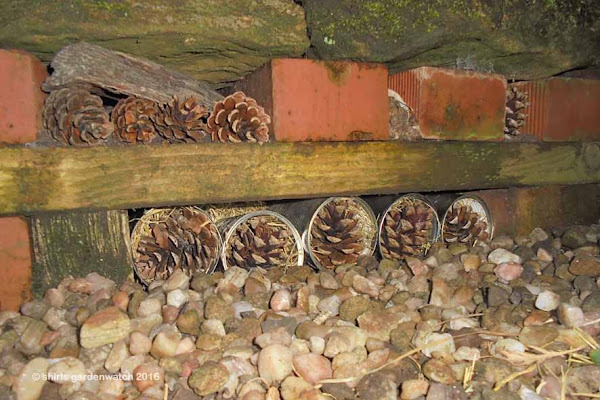 The garden building under assessment, having gone through planning and near completion, is a modest Bug Hotel. A luxury Frog House is the change of use currently being considered for this building. As this change is more suitable for the occupants of the surrounding area, it has been recommended for approval. Building works will resume in daylight hours as soon as weather permits. 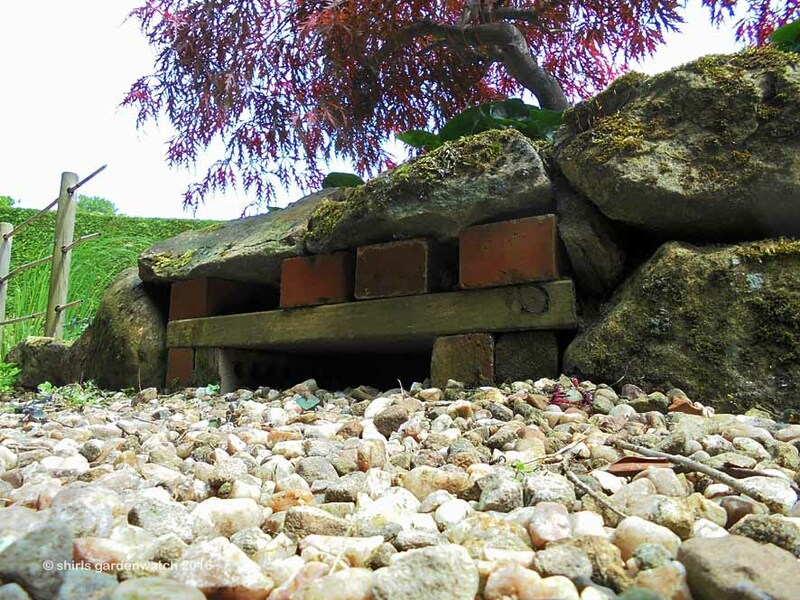 This Luxury Frog House will function as a shelter for emerging froglets from the nearby wildlife pond. There are no objections from local residents. Garden Building: 1st stage of build, side elevation. Pond located on left. 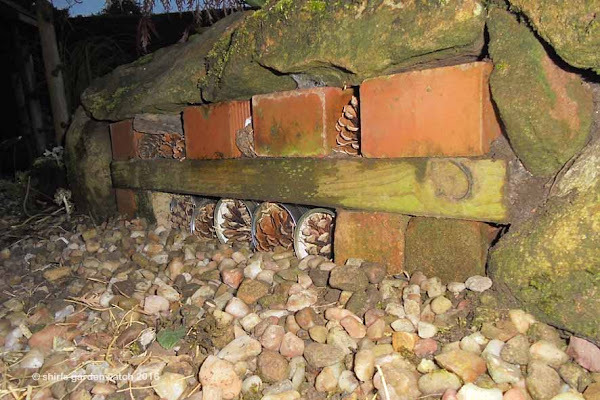 Garden Building: Modest Bug Hotel under construction, side elevation. Garden Building: Modest Bug Hotel under construction, front elevation. Garden Building: Luxury Frog House early construction, side elevation. Further planning in design and choice of materials during daylight hours is required for the successful competition of this new change of use garden building. More research is suggested. Construction work above undertaken on evening of 16/6/16. A bug hotel is on our to do list - has been for a while! You had better be careful that your council tax doesn't go up when word gets around you have a new hotel on site! If I were a bug I would move in right away. You will have to investigate after awhile and tell us what is using it.